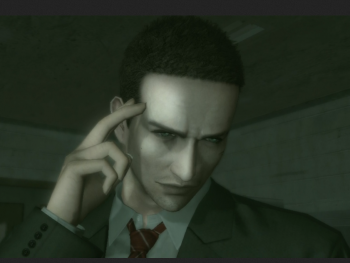 Japanese developer says the Deadly Premonition Director's Cut should be a 2012 release. Deadly Premonition, the comic horror open world game from Japanese designer Hidetaka 'SWERY' Suehiro, may be getting a director's cut release later in 2012. This news comes as a GamesCom reveal, and along with it came a hint that SWERY may be about to produce the long-awaited sequel. He confirmed that the original Deadly Premonition team had been gathered together to work on an unnamed project in honor of the 10th anniversary of developer Access Games, and hinted that the project might be Deadly Premonition 2. "We're in talks with publishers at the moment, and we can't tell you about the platforms," SWERY said, "but by next summer, I think everyone will have a good idea of what it's going to be." Though SWERY couldn't say what the unnamed project was going to be, he did outline what Deadly Premonition 2 - assuming it ever gets off the ground - would not be. "I meet once a month with the producer of Deadly Premonition and we talk about various things. There are things I've come up with the producer has said no to. I suggested Deadly Premonition 2 should be as though Deadly Premonition had never existed. I wanted to do everything from scratch, but the producer said I couldn't do that." If SWERY ever gets to do Deadly Premonition 2 the main character will be Francis York Morgan as the producer won't let SWERY drop the character, claiming that York is a fan favorite.